Carrie Natasha (Gross) Bleich, 43, of Waverly Nebraska was born on April 29, 1975 in Fairfax, Missouri to John W. Gross and Linda J. Horner. Carrie lived in Rock Port, MO, Tecumseh, NE, Omaha, NE, Greenfield, IA thru age 8 and then Humboldt, NE. Carrie attended Greenfield Elementary School from Kindergarten until 2nd grade and then Humboldt Public School from 3rd until 12th grade. After high school, she attended college to pursue a degree in Nursing. Carrie has 2 sons, Dylan M. Lang and John Wyatt Schmit. On August 12, 2005, Carrie was united in marriage to Duane Bleich. She enjoyed training obedience and service dogs, teaching women self-defense techniques as well as a variety of shooting sports, and loved making crafts items. Carrie also enjoyed spending time with family and friends. 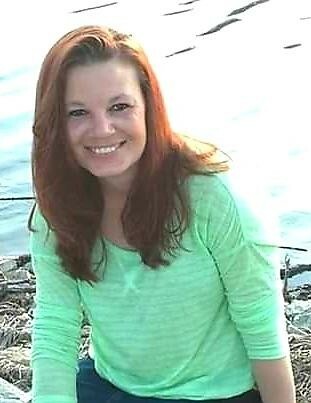 Carrie passed away on Friday, March 22, 2019, at her home in Waverly, Nebraska having reached the age of forty-three years, ten months and twenty-one days. She will live on as an organ donor. Carrie was preceded in death by her son Dylan Lang, nephew, Dameon Keeton, mother, Linda Coonce, father, Jay Keeton, father, John Gross, grandparents, uncles, cousins, and great-cousins. Carrie is survived by her husband Duane Bleich of Waverly, NE; son Wyatt Schmit of Table Rock, NE; parents: Robert and Janet Coonce of Humboldt, NE; sisters: June (Thad) Lambrecht of Bern, KS; Emilie (Bill) Goering of Nebraska City, NE; Lindsay (Steve) Wittenhagen of Lincoln, NE; Janice Emiterio & Stephan Brown of Harlem, MT; brothers: Mike (Mollie) Keeton of Salisbury, NC; Shane Keeton & Ruth Heywood of Nemaha, NE; Jason (Carmen) Post of Lincoln, NE; Pat (Val) Coonce of Beatrice, NE; Jerry (Dani) Gross of Billings, MT; parents in-law of Robert and Connie Bleich of Jansen, NE; and nieces, nephews, aunts, uncles, many cousins, great-cousins, and friends. Memorial Services will be held at 10:30 a.m. on Friday, April 12, 2019, at The Christian Church in Humboldt, Nebraska with Pastor Eric Biehl officiating.